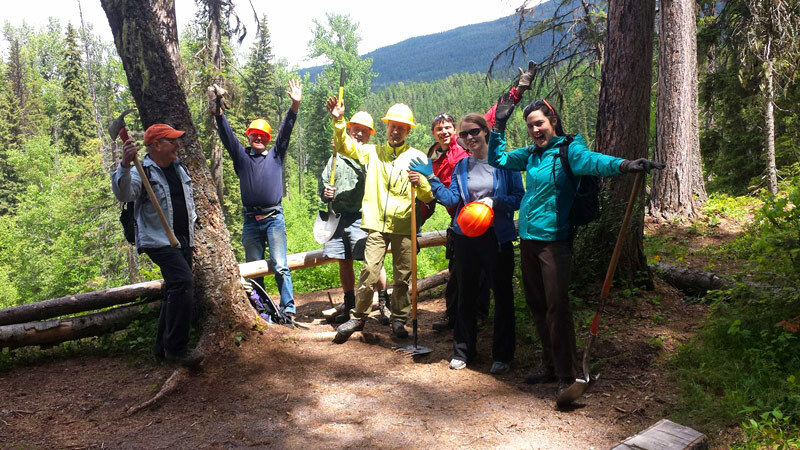 The heart of the Whitefish Trail is our volunteers! Volunteers are needed to help maintain the existing trail, assist with sign maintenance and support new trail construction. Two community trail maintenance work days recur on an annual basis and additional work days are announced throughout the season. The local chapter of the Montana Conservation Corps partners with the Whitefish Trail to lead these annual projects. Local businesses, youth groups, church groups and service organizations also annually volunteer.